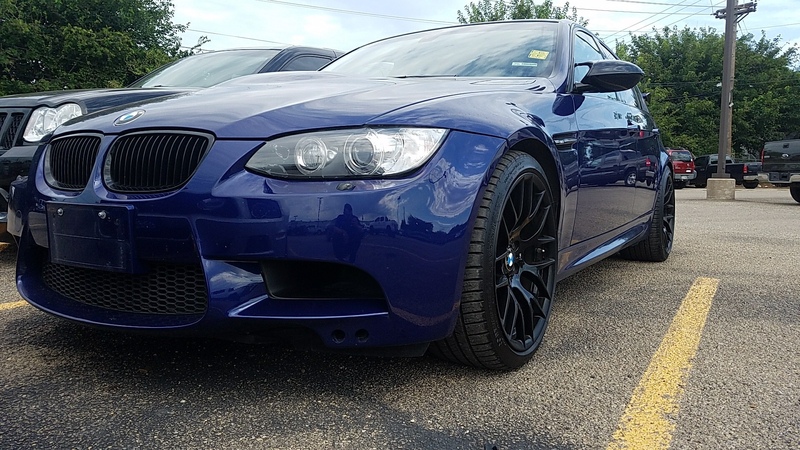 As the title states, I purchased a 2011 E90 Competition Package in Interlagos Blue DCT loaded with pretty much every option, Nav, Tech, Cold Weather, Premium, Smokers etc. What makes this one even more unique in my eyes at least, the original one owner bought while stationed overseas in Europe. So it has Euro front bumper, first aid kit and emergency triangle. It spent 4 yrs over there and made it way back to the states in 2015. It's only got 60k miles on it in really clean looking condition. 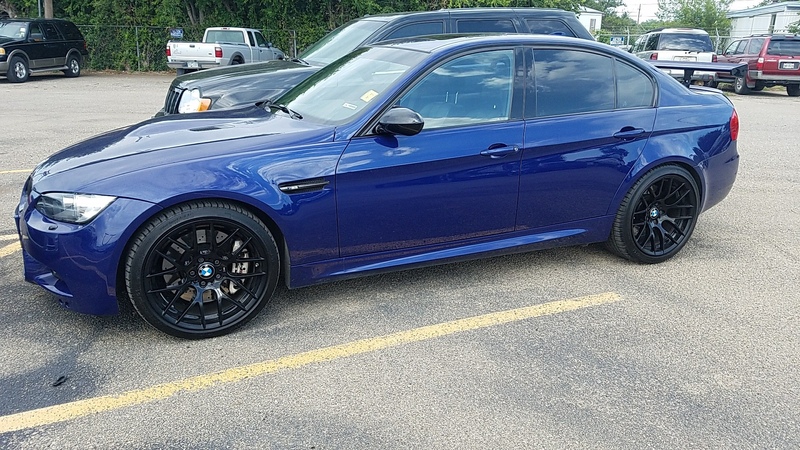 I bought it from a dealer in Texas pretty much sight unseen minus a FaceTime and a family friend mechanic giving it a once over. I got a screaming deal on it so if it needs a few things I'm prepared. 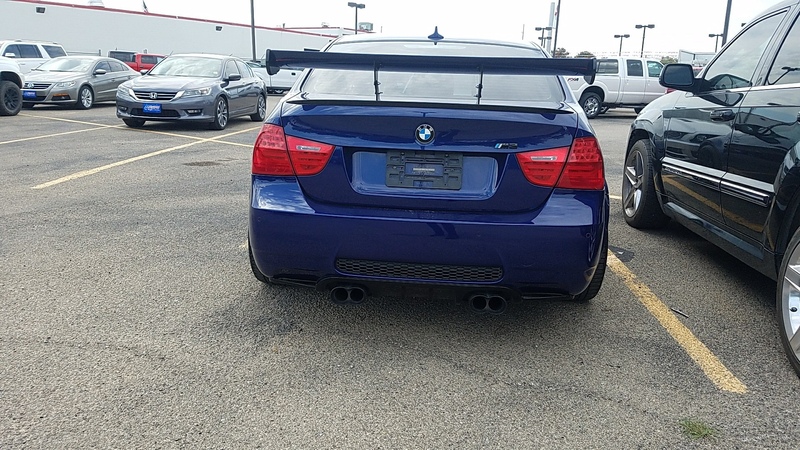 Appears to have aftermarket diffuser and AC Schnitzer exhaust based on the tips. Unfortunately, the guy also mounted the ugliest wing on the trunk so any insight removal would be appreciated. Here are some cell phone pics from the salesman. I ran it thru vin decoder and found everything it has. 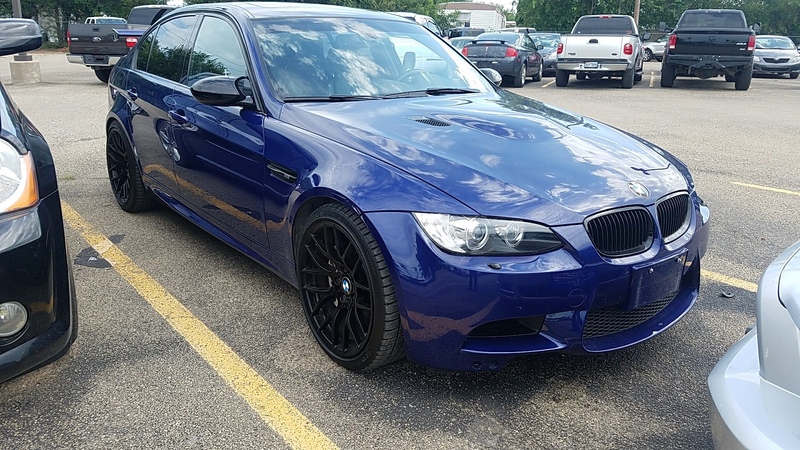 Pretty unique car and I couldn't be any happier I found it as it was posted Monday and I got first dips after 20 other people called on it. I'll get some better pics once it arrives but currently seeking advice on removal of the wing/spoiler!!! Salesman said it appears to be bolted and done cleanly so hopefully holes aren't too big.